Lia is the consummate professional and provides treatment of the highest quality consistently. It is a real treat to visit for a treatment. I can not recommend Lia enough, I had the most wonderful facial this afternoon which also came with a fantastic massage. She is incredibly professional, great to have a conversation with and extremely kind and welcoming. My skin feels amazing and so do I! Lia provides exceptional service, care & therapy. This is THE place in Christchurch for all your beauty & relaxation therapies. After 8 years of attending Lia’s clinic I know there simply is nowhere better. Lia’s service is excellent, she is kind and outstanding in her care for her clients. I would recommend her to anyone looking for a top Beauty Therapist or Reflexology in Christchurch. Wonderful eyebrow shape and tint today. Such a relaxing professional environment. Thank you. I was very fortunate to have a superb treatment with Lia yesterday. She did a really nourishing facial and I had my brows & eyelashes tinted. Her range of BESTOW is quite exceptional with Beauty Oil & Beauty Powder so a complete package nourishing my skin. I’ve been seeing Lia for many many years she is an exceptional Beauty Therapist! Lia is a professional in this industry and goes far beyond your expectations. The little added touches and quality of knowledge and products is reassuring. You are in safe hands with Lia. Would highly recommend Lia to any prospective clients. I really enjoyed my wonderful treatment yesterday. I wear a Fit-bit and although I didn’t sleep it recorded me having an hour and a quarter sleep time during the treatment! Thank you Lia. Lia is the most wonderful therapist, so thorough and I always leave feeling fantastic! I just wish I could make it more regularly!! If you are looking for a personalized, professional and caring therapist look no further than Lia. I had the most wonderful treatment last week with a facial and reflexology and I felt amazing when I left. I booked on line so you don’t need to wait until Lia is open to make time for yourself. Don’t wait book today. Lia’s service is amazing! Her depth of knowledge in beauty health and well being makes your visit exceptional. Plus she always goes the extra mile. I went in for an eye lash tint and also received a brow shape and the most divine and relaxing head massage. Her environment is calm, warm and relaxing. You feel truly pampered! 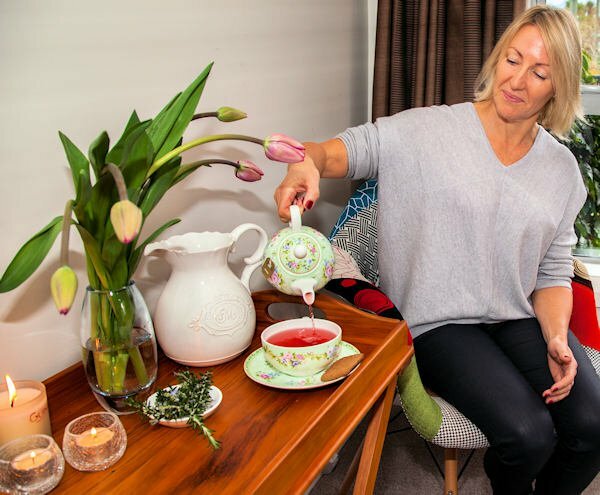 I’ve so enjoyed my treatments with Lia – she is so good at what she does (facials, massages, reflexology and more) and is also lovely to talk to while she works her magic! From the moment you walk in the door, Lia gives you her undivided attention. The space is always calm and relaxing and I know that this is an area that Lia prides herself on, so regardless of the chaos going on in your own mind you can feel rest assured Lia has planned ahead to make your time with her special so you leave refreshed and with a lot of the amazing treatments offered you can also leave a little neater and tidier than when you arrived. Lia is the best and most professional beauty therapist and reflexologist I have ever come across with her magic hands!!!! I can highly recommend her for any service in this field and cannot wait for my next appointment!!! I can not recommend Lia highly enough. She a kind, understanding and genuine person along with having the amazing skills of making you feel wonderful and relaxed with all her treatments. She is so totally professional and is committed to making your experience one you want to keep coming back for. I have been coming to Lia’s lovely Clinic for over 8 years. Both of my daughters love their treatments with her too. I always look forward to my relaxing visit with Lia. We discuss how my skin has been and she evaluates and then recommends the most suited facial for me for my visit. She recommends quality products for home use that work for my skin too. Ive been with Lia for over 5 years….she is fantastic, friendly and highly skilled…totally recommend her! Enjoyed a truly relaxing massage today…i came out feeling like a princess. Thanks Lia for your wonderful work! Having had beauty treatments here and in London for the past 20+ years I can honestly say that Lia has been the best therapist I have ever had in terms of the attention she has paid to the treatments I have received and providing exceptional service. Lia you are the Best! I enjoyed my pedicare very much, my feet feel and look great. If I rated my treatment between 1 – 10, 1 being the lowest it would be an 11. This lady is the best – experienced and proficient in her work with beautifully presented surroundings. Lia will give you a great treatment and you will leave feeling totally refreshed from her services. 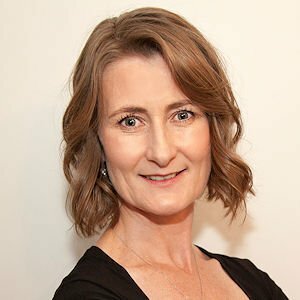 I returned to Christchurch in 2003 having lived in Sydney for 20 years when I met Lia professionally, and she has been looking after my skin for some years now. She is an excellent Beauty Therapist and over many years I’ve not found someone as thorough. As I’m ageing she’s keeping my skin the best that I can! A facial with Lia is always an enjoyable and totally relaxing experience. After an hour or more of peace and lovely herbal aromas, my skin is wonderfully healthy and I feel refreshed and ready for another day. There is a great range of treatment options. Lia is so welcoming, helpful with advice and very professional. I could stay and be pampered all day! I’ve been using beauty therapists for over 10 years in the UK and in New Zealand, and no one has come close to providing the same quality, luxury, and attention that Lia does. The time she gives you and attention to detail makes me feel very pampered at every treatment. I arrived in N.Z almost 10 years ago and it was important for me to find someone who was able to give me reflexology to help with an ongoing back problem. Incidentally, I was also trying to source someone who could supply me with Guinot products, she was able to do both! I found Lia to be very professional, warm, kind-hearted and someone who has immense knowledge. She has also provided me with beauty treatments which are always very relaxing. I moved away from Christchurch almost 4 years ago and whenever I return for visits, I always try and squeeze in an appointment with her as I can’t get the same level of service and treatment where I currently live. Thank you very much Lia, you’re a real gem. Lia, is one of the best beauty therapist I have used over the past 20 years – very reliable, efficient and highly professional. I would highly recommend her to any client who is looking for that WOW experience. Lia is always friendly, professional and happy. Please feel free to phone us with any queries. We’re here to help you make the most of yourself … and most importantly, to make you feel and look beautiful!